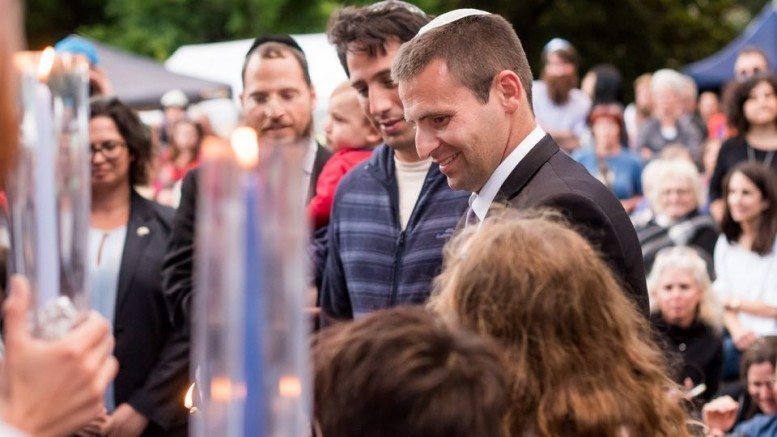 A diverse group of over 1,000 Aucklanders gathered at Albert Park to celebrate the last night of Hanukkah, the Jewish holiday that remembers the rededication of the Temple and celebrates the triumph of religious freedom from the Greek-Syrians over 2,000 years ago. Since it was the last night of Hanukkah, all eight candles of the hanukkiyah were lit. A range of traditional and modern music entertained the audience, from artists Alan Brown and Simcha, The Truppman Brothers, Sababa, and The Jews Brothers. Children from Kadimah School also sang Hanukkah songs between attending activities in some of the tents around the Albert Park rotunda. There were a variety of stalls, including story readings for children, dreidel (a spinning top) games, and a bouncy castle. There were information tents about Jews, Israel and Israeli charities plus the opportunity to ‘ask a Rabbi a question’. A charity box was provided for those who wished to donate to the City Mission. This highlighted the important Jewish principle of Tzedekah. Delicious Kosher food was on offer: from falafel and shwarma to hot dogs and hummus. This year there was a unique Israeli non-alcoholic black beer available and traditional Hanukkah donuts (“sufganiyot” in Hebrew) were plentiful. Invited guests gave speeches in between the music and activities. Dame Susan Devoy, New Zealand’s Race Relations Concilliator, spoke about the cultural diversity of Aotearoa and we congratulated her on her 29th wedding anniversary. Simon O’Connor, MP for Tamaki, talked about the meaning of Hanukkah (based on advice from an 85 year old constituent), asked us all to be lights, and pledged to help clean up the graffiti remaining on Jewish graves in Auckland. 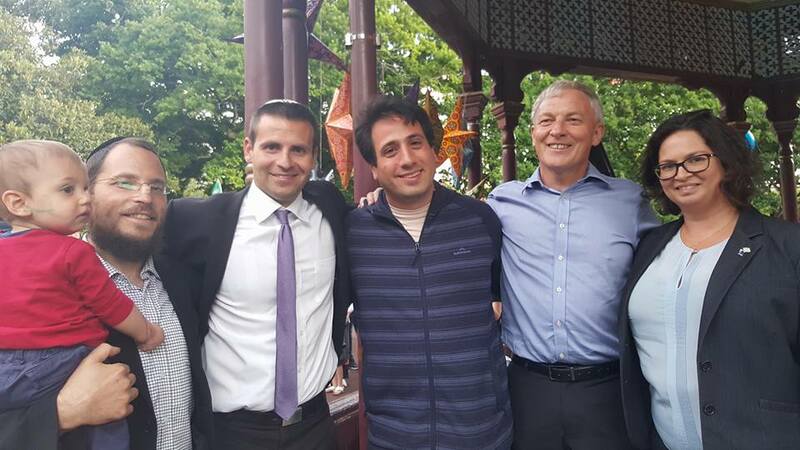 Phil Goff, MP for Mt Roskill, spoke of the victory over oppression that Hanukkah symbolises and stood arm in arm with the Israeli Embassy’s Deputy Chief of Mission and Auckland Rabbis. The speeches were not long, the food hot and tasty, the stalls engaging, and the weather perfect for a wonderful event. The location, Albert Park, is significant for the Auckland Jewish Community as it is home to the city’s first synagogue. “The building is on the corner of Princes St and Bowen Ave, it is now owned by the University of Auckland, but is still a special place for the Jewish community,” said event organiser Alison Dyson. Indeed, the contribution of the Jewish community to New Zealand and to Auckland is long and illustrious. It is wonderful to have events that celebrate Jewish culture, traditions, and religion with everyone. From Shalom.Kiwi, a huge thank you Alison and everyone who made the event such a success and we hope to see even more people next year!